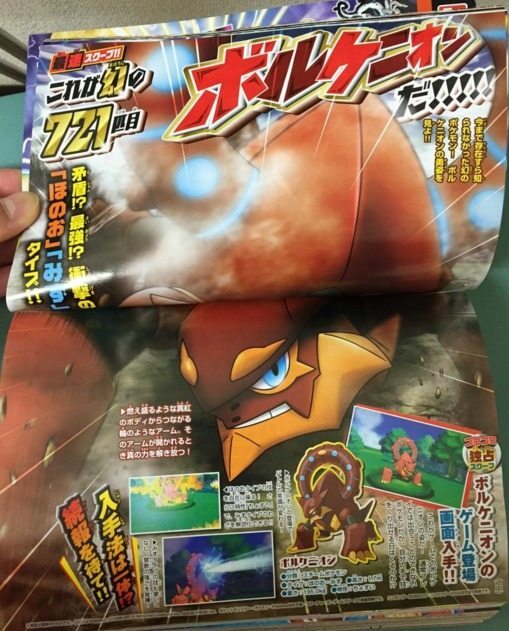 CoroCoro Comic’s latest issue has revealed Volcanion, a new Fire and Water-type Mythical Pokémon. Said to expel steam from the arms on its back and to have enough power to blow away a mountain, Volcanion’s existence was unearthed by data miners way back in November 2013. It was discovered in Pokémon X and Pokémon Y along with Diancie and Hoopa, the three Mythical Pokémon believed to be the last PokéDex additions to Generation VI. Screenshots show Volcanion’s appearance in battle, but news regarding a distribution event are promised to come at a later date. The magazine also confirms that Volcanion will appear alongside Zygarde in Pokémon the Movie XY&Z, which will release in cinemas across Japan on 16th July 2016.